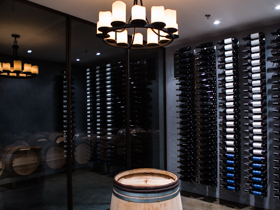 Each vintage, we reserve a portion of the wines we make for our wine library. The library serves as a historical record of Young Inglewood vintages. We open bottles to check in on how they're evolving, as well as for vertical tastings to compare our wines vintage to vintage. From time to time we'll share our library wines with you, through FYI, our Friends of Young Inglewood, or sometimes in the online store. We'll also occasionally open older wines at special events and tastings with you at our winery. Fun times! We hope you'll enjoy the evolution of Young Inglewood Vineyards with us. Cheers!